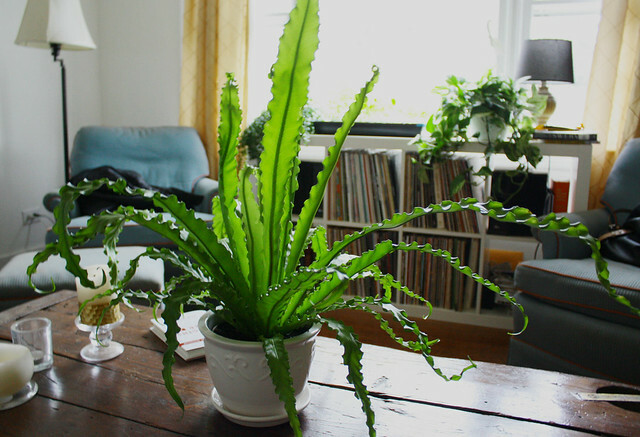 This is the magnificent, prehistoric-looking birds’ nest fern from Windy! Guion had me take this StrengthsFinder survey, and let me tell you, the results of this little online questionnaire resembled a talented fortune teller. So accurate! So specific! One of the statements said, “You probably learned to read at a very young age.” Yep. How did you know that?? Or: “You love to collect information and read books and websites that most people would probably find boring.” Uh-huh. Or: “Your ability to accomplish goals you set for yourself each day affects how you feel about your success as a human being.” Most definitely. Or: “You need to tone down the violence of your opinions about abusive dog breeding practices.” OK. Not the last one. But I wouldn’t have been surprised. Things we’ve planted in the yard that we hope will live: forsythia, three blackberry bushes, three blueberry bushes, two apple trees, one (producing) cherry tree, two ilex hollies. Things to plant still: more hollies, rosemary, sedum, columbine, lavender, black-eyed susans, coreopsis, and later, irises and daffodils. The horde of boy children next door have been very effective additional birth control. I’m reading Hillary Rodham Clinton’s autobiography (Living History) right now, and I want to say, (1) I will always love Hillary, forever and always, and (2) Why are politicians such a pain to read? I feel like they’re always trying to sell me something about truth, justice, and the American way, and hence, I never believe anything that comes out of their mouths. Even when it’s the majestic Hillz. This weekend, I am attending a seminar/conference on the church and homosexuality. I am expecting to hate it, but I am trying to go into it with an open, peaceful, nonaggressive mind. The seminar is not at my church, so I am a bit less emotionally invested in their conclusions, but as my mother recently said, every church, sooner or later, is going to have to take a stand on the issue. I just hope and pray that, when the time comes, our church takes a stand on the right side of history. Semi-related: I am often troubled by the fact that the modern church is rarely an institution of social progress. Sometimes we are. More likely than not, however, we take the backward view. This is odd to me, because Jesus was such a progressive, radical dude. This is not to say that churches are not involved in social issues; of course they are. I suppose the deeper question is whether the church should be a progressive institution. Or is the church intentionally slow to change? 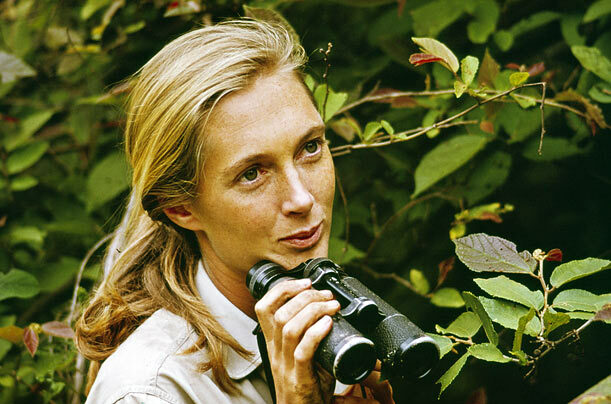 Would that we were all more like Jane Goodall. I swear StrengthFinders has my phone, computer, and brain tapped. The accuracy was uncanny!